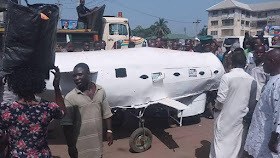 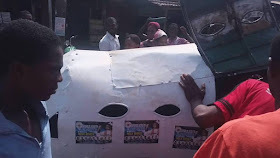 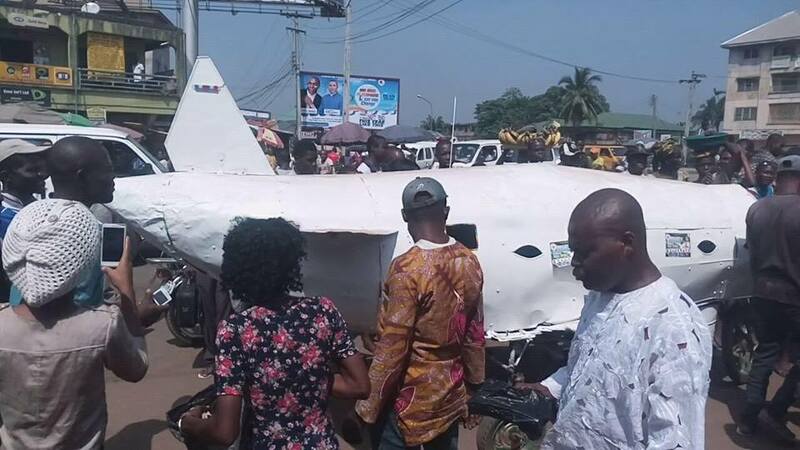 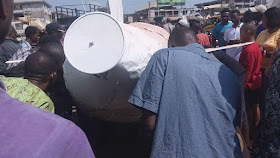 A young man pulled a massive crowd with his local invention yesterday at Nkpor town in Idemili North local government area of Anambra state. 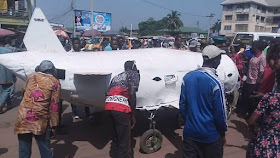 The young man built an aeroplane model using scrap materials and locally sourced items. The "invention" was showcased at the market square for people to see his work. While some criticized him for building "scrap using scrap", others have hailed him for his attempt which they say will get better under the right circumstances.